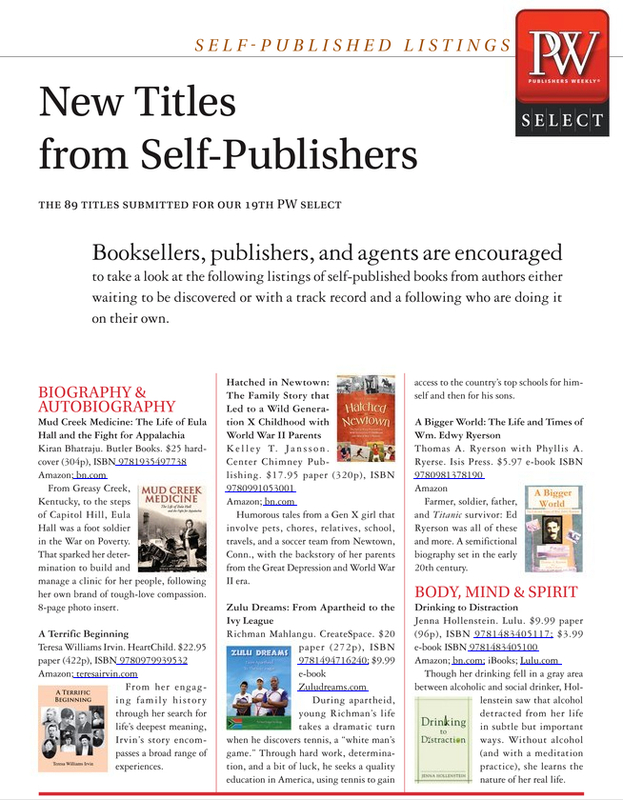 As one of my first forays into marketing for my POD (print on demand) title, I took a chance on the Publishers Weekly insert that highlights books from the DIY crowd. It may not generate sales, but still looks pretty neat. At a minimum, it feels pretty good to have finished a project that is a tribute to my mother who passed away in February 2012.